Madoff is scheduled to be sentenced next Monday. The Securities and Exchange Commission has charged a New York-based brokerage firm and four individuals with securities fraud, alleging they raised billions of dollars from investors for Bernard Madoff's Ponzi scheme. The SEC's complaint against Cohmad Securities Corporation and the four defendants alleges that while bringing investors to Madoff, they ignored and even participated in practices that clearly indicated Madoff was engaged in fraud. "Madoff cultivated an air of exclusivity by pretending that he was too successful to trouble himself with marketing to new investors," said Robert Khuzami, Director of the SEC's Division of Enforcement. "In fact, he needed a constant in-flow of funds to sustain his fraud, and used his secret control of Cohmad to obtain them." The SEC complaint, filed in the federal court, names Cohmad Securities Corporation as well as its chairman Maurice Cohn, chief operating officer Marcia Cohn, and registered representative Robert Jaffe for marketing investment opportunities with Madoff while "knowingly or recklessly disregarding facts indicating that Madoff was operating a fraud." 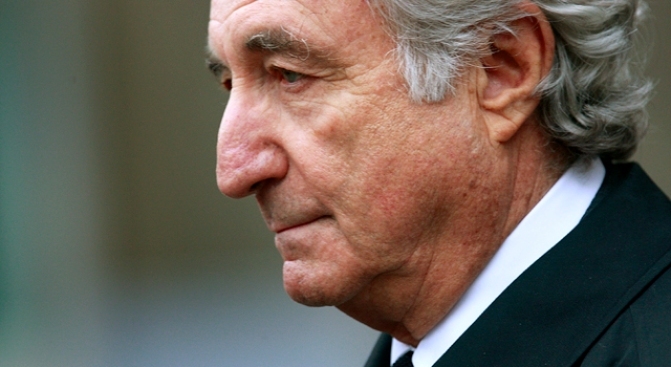 Madoff, who was convicted of running the $60 billion dollar ponzi scheme, will be sentenced next Monday. The SEC also charged California-based investment adviser Stanley Chais, who oversaw three funds that invested all of their assets with Madoff. When the Ponzi scheme collapsed, Chais investors' accounts were valued at nearly $1 billion. James Clarkson, acting director of the SEC's New York regional office, said "these Madoff solicitors collectively received several hundred million dollars in fees over the past few decades while Madoff ruined the finances of countless investors."